Business interruption insurance can help mitigate the impact of the next oil spill or hurricane or car crashing through the front of your office — if you plan ahead. That’s a compelling argument for buying business interruption insurance to compensate a company for the income lost after a disaster. Two in five businesses have suffered a business interruption loss in the last five years, according to the Risk Management Society (RIMS) Business Interruption Survey. Landers likens planning to the theory of a hierarchy of needs, proposed in 1943 by psychologist Abraham Maslow. At the base of the pyramid is the most basic need — survival — the objective of any enterprise in the face of adversity. When bottles of Tylenol were poisoned with cyanide in 1982, leading to the deaths of seven people, Johnson & Johnson quickly recalled 31 million bottles and implemented tamper-proof packaging, saving the medication’s place in the marketplace as a respected painkiller. “Ultimately, the company saw an increase in sales, because it did such a great job of handling the situation, ” Landers says. Managing business interruptions requires savvy leadership at the top, as well as a specialized team prepared and equipped for industry emergencies. An in-house team should be comprised of employees involved in executing a plan during a disaster, from the financial department to operations to the physical plant, with a big picture approach that includes safety, personnel, legal, risk management, education, training and resources. Landers says the initial step in preparing for crisis is to quantify challenges, a multi-layered process that begins with assessment of any hazards the company may face. Cyber and ransomware attacks are on the rise in all industries, up 250 percent in 2017, and are estimated by a Kapersky Lab study to cost large businesses an average of $861, 000 and small companies an average of $86, 500. Kaspersky suggests the loss of business continuity costs a company an average of 23 hours of downtime, resulting in an average loss of $1.4 million. The 2017 Hiscox Cyber Readiness Report, published earlier this year, indicates 53 percent of companies aren’t adequately prepared for an attack, though in 2016, cybercrime cost the global economy more than $450 billion. Landers says the insurance industry is seeing a shift as small businesses recognize the need to arm themselves against IT breaches. Many insurers are beginning to build some cyber liability insurance into policies, though the amounts are still small. The cost of that breach included a tremendous dip in Target’s value. The growing potential for malicious disaster, combined with natural and accidental, is downright daunting. An essential part of business interruption preparedness is making a plan — however low tech. He suggests looking at your current capabilities and internal resources before coming up with a disaster mitigation strategy. The fundamental rule is to look at it from a 30, 000-foot perspective. Having an alternate HQ designated for disasters can save time and resources. Disaster preparedness can be as simple as having contact lists for the company’s resources, or even names and cell phone numbers of key personnel. That not only gave them an edge over the competition, but also reassured clients they were prepared in any eventuality. That same logic should have companies poised to outsource operations during emergencies. In the case of hypothetical candy bars, creating a standby agreement with an alternative source of pistachios is a safety net to build into your insurance program. Mutual aid agreements are another failsafe, often seen in the wake of storm damage, as power companies from other areas converge to correct massive outages. Power companies are in a high-hazard industry, pivoting to meet demands in the wake of storm outages, but other businesses aren’t accustomed to reacting to such challenges. Any plan is only as strong as its weakest link, and the way to find that link is through testing. That documentation of a well-laid plan is critical if a lawsuit results in defense of post-disaster claims. Having safety factors in place and documented can contribute to dollars saved on insurance. With scores of insurance claims at stake in product contamination or confidential information breaches, it takes more than an ounce of caution for a pound of cure. If a major disaster befalls a business, lack of preparedness could be the actual catastrophe. Pilots prepare in simulators to create a reflexive response to a crisis. It’s that mindset businesses need to take into their business interruption and crisis planning. 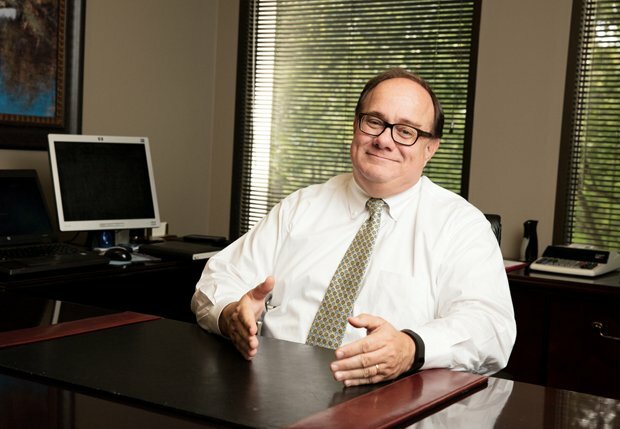 Cara Clark and Cary Norton are freelance contributors to Business Alabama. Both are based in Birmingham.